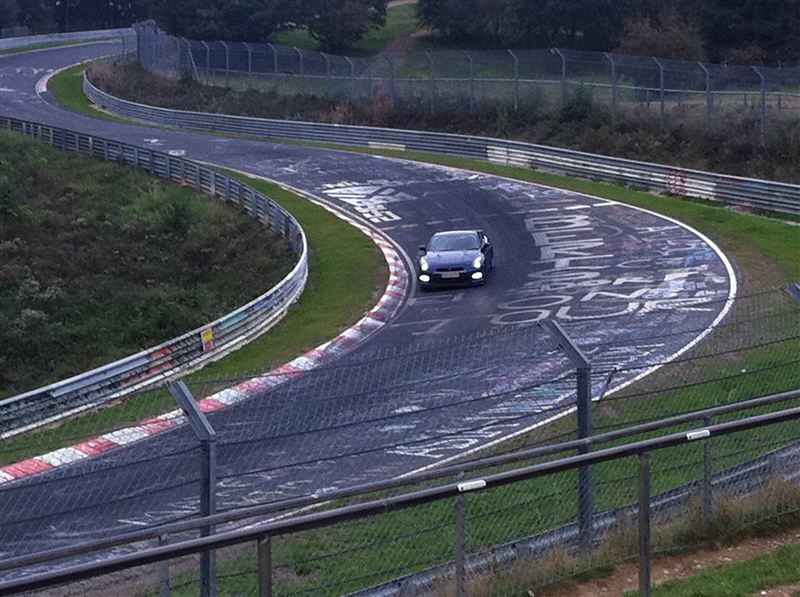 A member from NAGTROC posted a few pictures of what looks like the 2013 Nissan GT-R testing at Nurburgring. In the picture below, it shows a carbon fiber trunk, and what looks like a slightly higher carbon fiber rear wing. 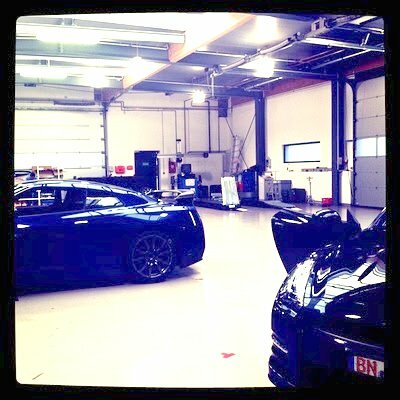 This might be the rumored SpecR version of the Nissan GT-R. A replacement of the Nissan GT-R SpecV, or perhaps a foreshadowing of the actual 2013 car. The rumors say that the 2013 car gets a mild power bump. 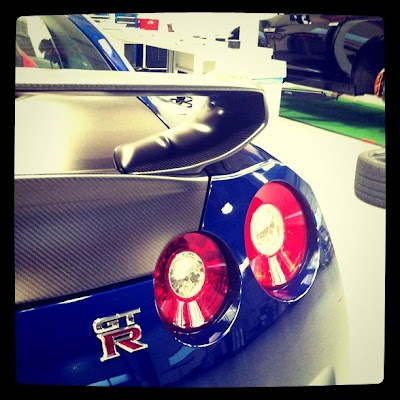 Maybe 550 hp from the 2012 Nissan GT-R 530 hp? Will it be enough to put the 2013 into the 10's as a stock car? Seems like it might be close. The 2013 will be revealed to my dealer this week-end at the Nür, a very rare few top customers are invited with no camera alowed, I just hope a few smart phones are going to spy shot some cars. For sure we'll have a ton more details next week !! !